Lack of nutrition, pollution, stress, and fatigue–these are but some of the many causes of dry skin. Keeping the face properly moisturized becomes a daily struggle with the harsh elements surrounding the environment and our lives. With that in mind, we’re here to help you combat dry skin by giving you a guide on how to choose the best face moisturizer for dry skin. We’re also going to give you a list of the best face moisturizers in the Philippines to aid you in hydrating your skin. Face moisturizers are in abundance on the Philippine market. Choosing the best moisturizer for your dry skin shouldn’t be a tiresome endeavor, so we’re here to help you. Manufacturers use different ingredients to help their customers achieve different benefits. That’s why checking the ingredients of face moisturizers for dry skin should be your priority. 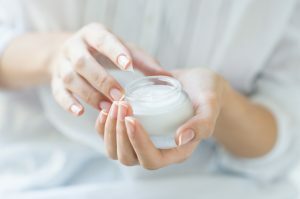 Some common yet effective moisturizing ingredients to find in face moisturizers for dry skin include the following: ceramide, propylene glycol, hyaluronic acid, glycerin, and butylene glycol. Among these ingredients, ceramide is the most potent in moisturizing power. However, ceramide face moisturizers are uncommon because these ingredients are normally found in creams and milk lotions. Still, moisturizers containing glycerin and other mentioned ingredients are already sufficient enough to give proper hydration to the skin. Keep in mind that giving moisture is different from retaining moisture. 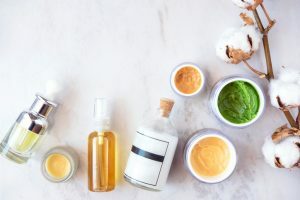 There are some products that have excellent moisturizing benefits but can be lacking when it comes to retaining moisture. Checking the moisture retention of the product is as simple as applying a small amount to the skin and waiting for 15 minutes. If the skin is still moist after that time frame, then the moisture retention of the skin care product is good enough. We also recommend considering products that not only moisturize, but also prevent acne and fix uneven skin tone. Salicylic acid, which kills bacteria, and allantoin, which has anti-inflammatory properties, are two ingredients suited for acne-prone skin. Additionally, products containing placenta and vitamin C derivatives can help prevent dull skin and dark spots. However, some vitamin C derivatives can be drying because of their high potency. Make sure to check the concentration of these ingredients when looking for the right face moisturizer for dry skin. People that have dry and sensitive skin should avoid using skin care products containing stimulants that can irritate the skin. Alcohol (ethanol), mineral oil, and parabens are some of the common stimulants found in face moisturizers. Some manufacturers include alcohol in their products for a cooling and refreshing effect, but as the alcohol evaporates, it takes with it the skin’s moisture. Products that don’t use additives are usually a safe choice, but those with no preservatives are prone to expiring faster. And accidentally using these expired products can damage your skin even more. Don’t be fooled by some products that seem to have amazing ingredients. It won’t make any difference if those ingredients can’t properly permeate the skin. Our skin cells are nano-sized; therefore, anything larger won’t permeate the skin. For example, hyaluronic acid molecules are larger, which means it only hydrates the outer layer of the skin. When choosing a product, check whether it uses nano-sized ingredients or nanotechnology so you can maximize its benefits. Everyone’s skin is unique. Even if a product is meant for your skin type, some ingredients might not be suitable for you. 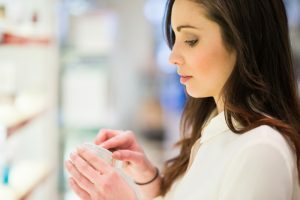 The most efficient way to find out whether a product is suitable or not is to test it on one’s skin. Most physical shops will have testers available, and some stores may even offer samples you can take home to try. You can use these testers to make sure you won’t experience any allergic reactions or irritation. Now that you’ve read our guide on how to choose a face moisturizer for dry skin, it’s time to check out some of the top products on the Philippine market. We considered several factors when we chose the items on this list. While most products usually have one main ingredient doing the work, this product has three! 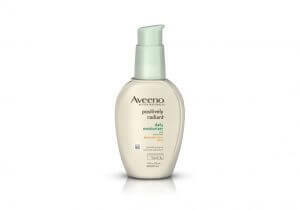 This water-based moisturizer is formulated with aloe vera, provitamin B5, and glycerin. It provides optimum moisture and hydration without leaving a greasy or sticky feeling. This product doesn’t offer anti-aging, exfoliation, or UV-protection, which may be a downside for some people. 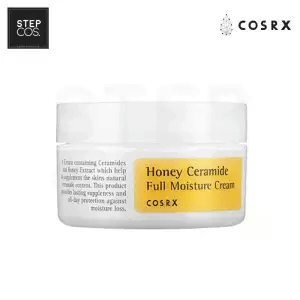 However, if you’re in need of a basic moisturizer that can soothe and hydrate your dry skin, then you should definitely give this product a try. 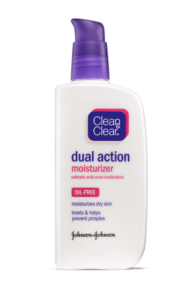 Targeting dry, acne-prone skin, this oil-free moisturizer will leave your skin feeling soft and smooth. 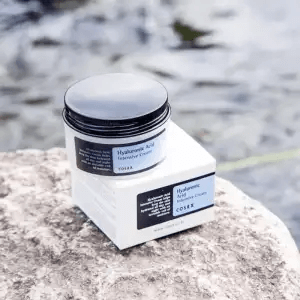 Some face moisturizers tend to leave unwanted greasiness after application, but this product’s oil-free formulation won’t leave any greasy residue. 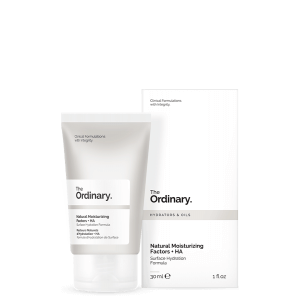 It also contains acne-fighting salicylic acid which exfoliates skin and unclogs pores. For that reason, do go easy on application. 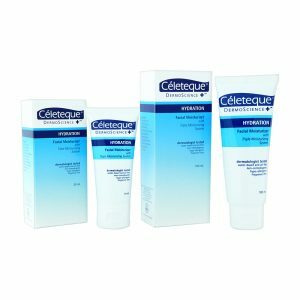 In case of skin irritation or dryness, reduce application to once a day, or make sure you aren’t using it with another topical acne medication. 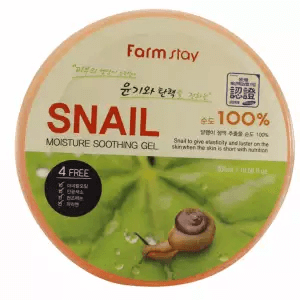 Snail slime is an ingredient that you don’t usually see in many skincare products. Although it may seem gross at first, it’s actually packed with a lot of skin-soothing and hydrating components. It contains a lot of humectants, which makes it perfect for dry or dehydrated skin because they help keep the skin hydrated and moisturized. It’s also known for its anti-aging properties as some of its components stimulate the production of collagen and elastin. This product can also be used for other areas of your body–so if you also suffer from dry, chapped elbows, heels, or knees, this might be the product for you. It does have a unique fragrance, which might take some getting used to, but considering its benefits, it’s definitely worth a try! One of the causes of dry skin is overexposure to the sun, but you can’t completely avoid that when you hit the beach. But don’t worry! 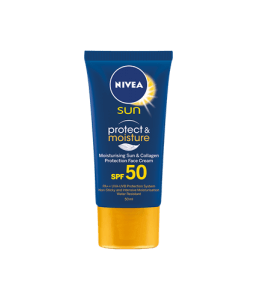 You can stay protected and moisturized even under the sun using this face cream, which blocks the sun’s harsh ultraviolet (UV) rays with SPF50. Aside from sun protection, this face cream helps prevent sunburn, darkening, skin-aging, and skin thickening. Formulated with collagen-boosting ingredients and vitamin E, it will keep you protected and moisturized all day at the beach. 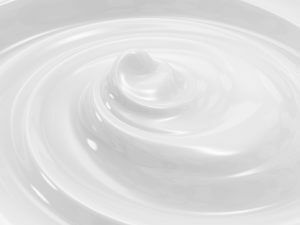 Some face moisturizers only have one or two ingredients that help moisturize the skin. However, this product comes with a good combination of high-strength compounds like hyaluronic acid and Hippophae Rhamnoides Water to aid in deeply moisturizing your skin. Formulated for dry or severely dry skin, it’s extremely moisturizing and hydrating. It has a gel-like but also creamy consistency, so you might need to wait a few minutes before the product is fully absorbed into your skin. If you’re looking for a face moisturizer that can also act as a deep cleanser, then this product is the next item on your shopping list. It was formulated with nano-sized particles, which are easily absorbed into the skin and can properly break down dead skin cells and blackheads. The fermented organic herbs found in its formula act as natural moisturizers, which brighten the skin’s complexion. It even has an all-natural list of ingredients, which makes it a suitable choice for all skin types–including hypersensitive skin. Does your skin feel like sandpaper to the touch? That may be an exaggeration, but if you have very dry skin, then this is the face moisturizer for you. Formulated with manuka honey and ceramides, it hydrates and protects the skin from dryness. It has a waxy texture which dries matte, making this suitable for both daytime and nighttime use. It also contains beeswax, which prevents moisture loss and protects the skin from irritation. Your skin will be left feeling soft, supple, and deeply moisturized. 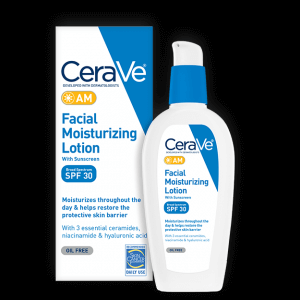 This face moisturizer contains natural light diffusers like octinoxate and octisalate to help even out skin tone. Aside from giving the skin proper moisture, it also acts as a good sunscreen as it can absorb the harsh UV rays of the sun. Its sunscreen properties also help even out skin tone, which makes it a great choice if you suffer from dull or dry skin, brown spots, or uneven skin tone. Although when it comes to erasing dark spots, don’t expect immediate or drastic results. If you’ve just experienced minor burns–such as the kind you get from touching a hot frying pan by accident–and you want to add additional moisture to your skin, then this is the product for you. It contains zinc oxide that assists in the recovery of the skin’s damaged tissue. Its zinc oxide contains also brings a slew of other benefits like moisture retention, the healing of bacterial infections, and the assuaging of acne breakouts. Lastly, since it can also help heal the skin, it can also combat the signs of aging. The combination of 11 amino acids, ceramide precursors, hyaluronic acid, glycerin, and other essential ingredients means this skincare product provides excellent moisture retention for your skin. Also, its formulation doesn’t contain strong stimulants like alcohol. This product works well with all skin types, but especially for dry skin types. It provides immediate but long-lasting hydration. It’s also non-greasy and lightweight, which makes the skin absorb the product quickly. We hope this article has helped end your search for the perfect moisturizer. We also hope you have a better idea on what type of face moisturizer to choose. Just keep in mind that you should check the ingredients, your skin type, and the price of the product before you spend your hard-earned cash.